I've put together 18 songs that inform some of the sounds behind this record. Featuring all the usual suspects (Nick Drake, Bert Jansch, Iron and Wine) with perhaps a few less-obvious choices, it's just over an hour of (in my opinion) some of the best singers, guitarists, soundsmiths, and songwriters ever to have lived. I love the sound of all of these entire records, so I encourage you to listen in full to any that grab your ear. I tried to flow the track-listing in such a way that it'll play through nicely, so just throw it on and let the music do the work. “A person himself believes that all the other portraits are good likenesses except the one of himself." “My portraits are more about me than they are about the people I photograph." I’VE never really liked pictures of myself. You may already be able to tell, from the relative opacity of my profile pictures on these various internet platforms. For no particular reason, perhaps other than having been raised to see vanity as possibly the deadliest of sins. Unfortunately, anyone who knew me in my teenage years of long greasy hair and ill-fitted clothes will tell you it took me just a bit too long to distinguish the difference between ‘vanity’ and ‘making just even a tiny bit of an effort’. I bring this up because I want to talk about record covers. It was never even an consideration in my mind to use a portrait as my EP cover (my face has featured on none of my previous releases either), but for more reasons than simply my aversion to a visualized visage. A record’s artwork should tell you something about what’s inside. One is, of course, always told never to judge a book by its cover, but it’s certainly my conviction that you can definitely judge the author by what cover they’ve decided represents their work, and you can definitely judge a book by its author. The same is true for music. A record cover should represent the record’s content, which in turn is a representation of the artist. It shouldn’t necessarily tell the full story, but it should certainly contribute to the conversation. My face doesn't. If anything, it's proven to be a conversation stopper in the past...I digress. 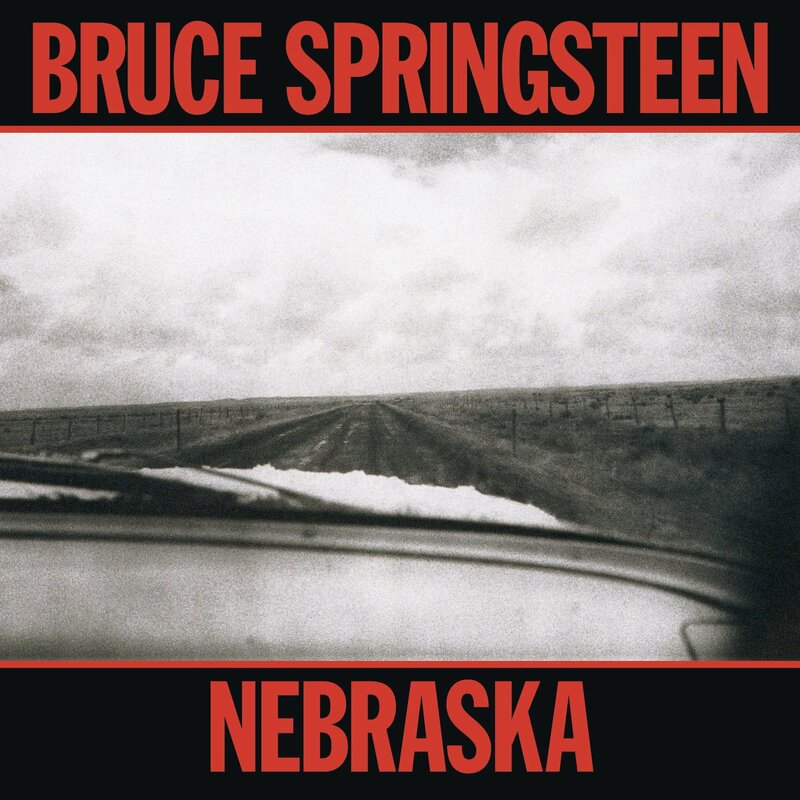 I’ll use as an example one my all-time favourite albums and all-time favourite album covers: Bruce Springsteen’s 1982 masterpiece in the art of the character study, ‘Nebraska’. As soon as you see the image on the front you know exactly what you’re in for***. The sparse black-and-white palate, the oppressive gloomy clouds, the long empty road stretching unbroken through the flatlands to the horizon, the patch of snow on the windshield that sits just out of reach of the wiper, the aggressive crimson all-capitals text. The whole record lives within this image. It’s minimal, solemn, rough around the edges, beautiful if somewhat uninviting, sombre and cold, uncompromising and inescapable, and it quietly but forcefully grabs a hold of you and looks you dead in the eye and says “you should listen to what I have to say!”. I took the photograph that became the cover of ‘The Garden Of Song’ in mid-September last year, of a zucchini**** blossom in my garden. We had an unexpectedly fruitful harvest, our south-facing plot of ever-so-slightly acidic soil bore us probably close to 100 zucchinis over the course of the summer. They grow so quickly, too, and each one is preceded by gorgeous yellow flowers. The bud peeks through the vines, tiny glimpses of its bright heart just visible enough to catch the eye through the thick leaves, then a day or two before the fruit is fully grown, the bud opens. Within 24 hours or so it has begun to shrivel again as the fruit attempts to reclaim as many nutrients as it can (incidentally this is the point at which, so I am told, these blossom are at their most delicious), but for an ever-so-brief moment there is a golden trumpet amongst the foliage, leading the orchestra in a fanfare announcement of new life. If I could say that ‘The Garden Of Song’ is about any singular thing, it’s a record about growth. Physical, biological, environmental, emotional, of a garden, of a person; the only true constant. How better to represent ‘change told through song’, than with a flower resembling a trumpet or an old gramophone horn? Other parallels can be drawn between the photograph and the record - both were created through an analog process (Canon AE-1, with HP5 film, vs a Tascam 464 portastudio), both have a certain ‘low-fi’ quality (35mm film grain vs 1/8” cassette tape hiss), both are works I had as much involvement in creating as I could (planting the seeds, helping the garden grow, taking the shot, hand-processing the film, etc…), both were sitting in my possession for months before I put the pieces together (the photograph was taken 9 months before the record’s release, and I had the ‘The Garden Of Song’ anthology for at least 6 months before I wrote from it, over a year before I recorded any of the songs)…I’m sure I could keep stretching. There are, of course, additional elements in play with this design (which was so perfectly realized by my friend Fran Motta and her wealth of graphic design knowledge). The sound of this record was heavily influenced by music from the British folk revival of the 60s; I wanted the cover to have a mid-century-esque simplicity. A bold typeface with a simple colour pop, calling back to a time where the only art you would see for a record was the 12” sleeve amongst hundreds other in the music store, so it had to find a way of telling you something none of the others did. I tried a few other colours but none worked as well as this green, and that in itself seems fitting. I loosely based the back cover of the eventual CD pressing on the classic Columbia folk releases of the early 60s, notably Bob Dylan’s 1962 eponymous debut, and Bill Evans’ 1959 landmark on Riverside Records, ’Everybody Digs Bill Evans’. Incidentally, both of these albums present themselves as self-portraits of the artists, to a certain extent, which is definitely relevant to this topic. However, I mostly just like the classic styling and happen to have them both in my collection. Not everything has to mean something, but isn’t it satisfying to connect patterns if we see them? Back to the point at hand. Why am I so keen to never put my face on my record covers? What about photographs of ourselves makes us so uncomfortable, anyway? Is it simply dissatisfaction with our appearance, or is it more a realization that there is now a visual representation of ourselves that we no longer have any control over? Maybe even that in seeing our image from an outside perspective, we end up judging ourselves to the same standards by which we judge others, and don’t like what we see? This, of course, is one of the great human truths: that try as we might we can never control (nor even fully understand) how we are perceived by other people. There is yet another layer too for musicians/artists/anyone who has ever created anything; everything we make is another face upon which the world can pass judgement. Perhaps this is really why I don’t want my actual face on the cover of my record. For ‘The Garden Of Song’, there was truly no better image I could choose to be a surrogate. It certainly says something that I had decided on this cover long before I actually began recording. And as I said before, in being a considered reflection of the music, it in turn becomes a reflection of myself anyway. So I suppose in a sense, it is a picture of me after all. Do you have a favourite album cover? What does it tell you about the music, or the artist? Tell me about it. **: American fashion and portrait photographer, b.1923, d.2004. He made his name in the early/mid 50s breaking away from the contemporary photographic traditions, capturing his subjects laughing/smiling/emoting, instead of seeming stiff and relatively indifferent to the camera. ***: Photography by David Michael Kennedy, design by Andrea Klein. Andrea Klein also designed arguably Springsteen’s most iconic album cover ‘Born In The U.S.A’. ****: That’s ‘courgette’ to my fellow non-North Americans. I’m just trying to fit in here.